After getting my bachelors degree at the University of Texas, I moved to Boston to pursue my master’s in Political Science at Northeastern. My main interests are regarding politics and religion, and more specifically, the intersection of Shiism and politics. I have previously worked with organizations with both political and religious interests. I believe in community organizing and international solidarity with oppressed people. In my spare time, I enjoy writing and performing spoken word, and teaching myself Arabic calligraphy. 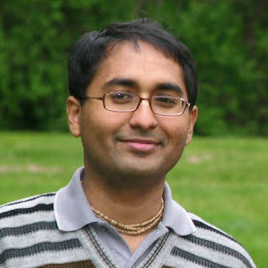 Partha is currently a technical development manager at Mathworks and a visiting faculty at the Tufts University. He got his Bachelors from the Indian Institute of Technology (IIT), and his PhD from the University of California, Irvine. Despite having high-profile responsibilities under his belt, he strives to live a very simple and humble life of devotion towards God. He believes that when we take upon responsibilities of life as a service to God, we can tangibly experience God’s presence even in so-called mundane affairs of life. His deep faith in spiritual principles is a result of seeds that were sown when he was 10 years old. Since then, he has inculcated habits of regularly reading scriptures and practicing meditation. His practices and realizations matured as he got opportunities to receive directions from various qualified teachers. As an offering of gratitude to his teachers, he founded Meditation clubs in various universities over the last 13 years to share his knowledge of how to live scriptural principles in contemporary settings. He serves as a spiritual trainer in the lives of many spiritual aspirants coming from all walks of life. Anjum did her Masters in Computer Science from the University of California, Irvine. After working for a few years as a computer scientist, she took a break to fully devote her time in studying Vedic scriptures. Thereafter, she earned a Bhakti Shastri degree from the Vrindavan Institute for Higher Education. She has been visiting many universities over the last 13 years to interact with students who want to develop their spiritual dimensions and support their spiritual journeys in multifarious ways. Apart from mentoring many spiritual aspirants, she takes special interest in bringing the messages of ancient scriptures alive through stories, drama, puppetry, art, music and through a strong practice in her own life. 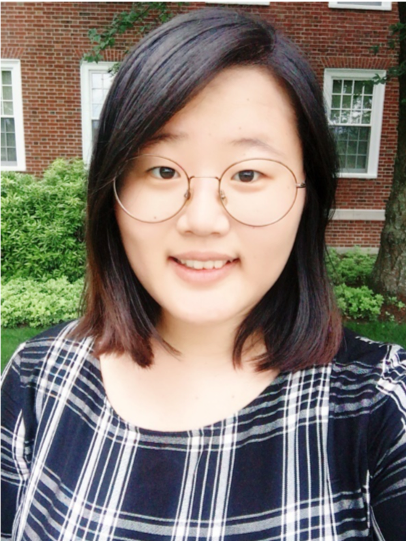 She volunteers her computer engineering skills to design websites and portfolios for charity organizations. As an experienced cook of karma-free diet, she has been conducting cooking classes at the Northeastern University. 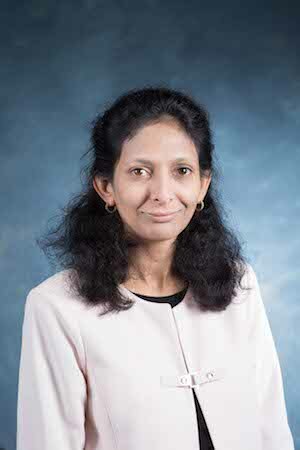 She lives in Wayland and has been serving the NEU community in collaboration with her better half – Partha Biswas. Along with their two children, Radha and Visakha, the entire family shares a common enthusiasm and passion for increasing their devotion to God and sharing their experience with others. Anjum can be reached at anjum.rs@gmail.com. his wife, Emily, have three children. 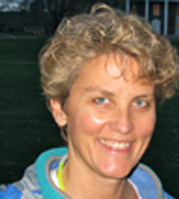 Joyce joined Northeastern in the fall of 1997 as a Lutheran campus minister and university spiritual adviser. A 1999 graduate of Harvard Divinity School, Joyce has a particular interest in helping students link faith and spirituality with community service and social justice. 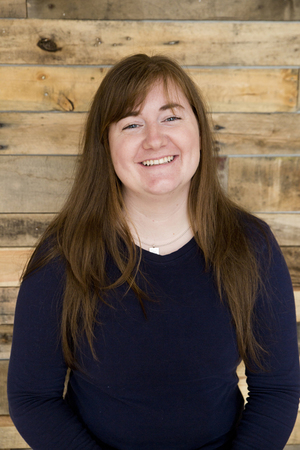 She is the youth coordinator at West Concord Union Church in Concord, Massachusetts, and has previously coached and taught in Connecticut and Maine. In her spare time, Joyce enjoys listening to jazz and gospel music, coaching basketball, hiking, cross-country skiing, and spending time with her husband and children. Linsey has a deep love for good stories, good questions and good tea. As a student studying Marine Science and Biology, Linsey learned to see the integration of science and spirituality with the help of her Sojourn community. After graduation, Linsey worked in animal husbandry for a number of years before her heart brought her back to Boston and to Sojourn. Now, she finds herself working to help students discover what it means when life and faith intersect. Donna Hakimian is an educator, human rights advocate, and artist. She works to create spaces of interfaith dialogue and understanding, creative collaboration, and cross-disciplinary alliance building. She currently serves as the Baha’i Representative to the Harvard University Chaplaincy. 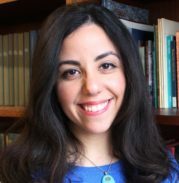 From 2012-2015, she served as the Representative for Gender Equality and the Advancement of Women at the U.S. Baha’i Office of Public Affairs in Washington D.C. Ms. Hakimian holds an Ed.M. from the Harvard Graduate School of Education, a M.A. in Women & Gender Studies from the University of Toronto, and a B.A. from McGill University. 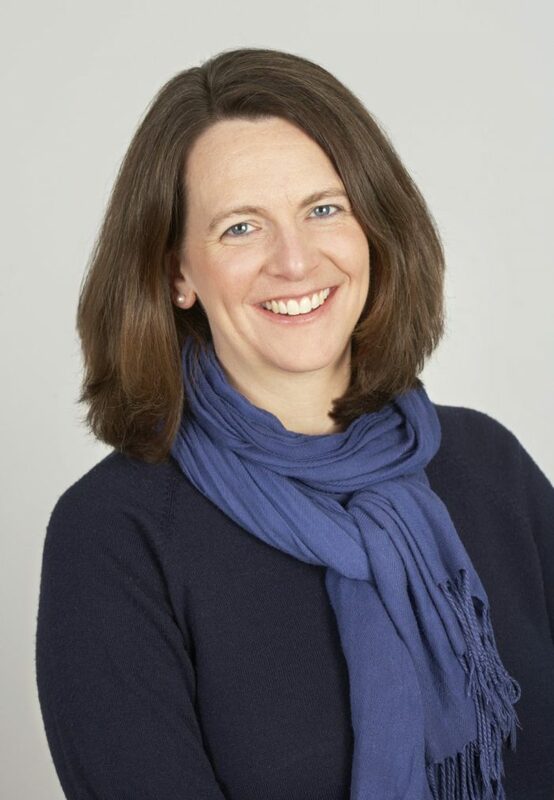 Megan Holding is an Episcopal priest who joined Northeastern as the Acting Episcopal Spiritual Advisor in the Fall of 2017. For the past five years, she served as seminarian and then priest at St. Paul’s Episcopal Church in Brookline, where she remains affiliated as Priest Associate. Megan graduated from Yale Divinity School with an M.Div. and received a Certificate in Anglican Studies from Berkeley Divinity School, the Episcopal seminary affiliated with Yale. 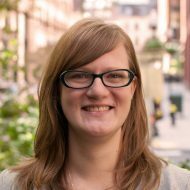 Before entering seminary, Megan practiced law, specializing in health care issues, and was involved with a wide variety of ministries at her sponsoring parish in downtown Boston. She grew up in Ohio, graduated from Amherst College and Georgetown University Law Center, and worked for a federal judge in Kentucky before moving to New England. Megan lived in Germany as a child and has maintained strong connections there, including several summers spent working as a tour guide at one of the oldest castles on the Rhine River. In her free time, Megan likes to travel, visit museums, read, swim, bake, and do puzzles. She lives in Needham with her husband, Chris, and their two teen-aged daughters. YWAM Boston for campus ministry since 2013. He married his wife, Hanna, in 2015 and they now have two baby daughters together. Rev. 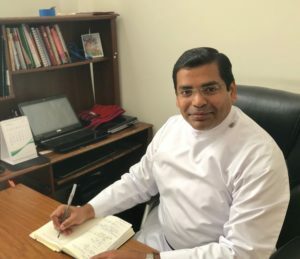 Thomas John serves as the Vicar of Carmel Mar Thoma Church, Boston since May 2018 and is available to render services as Spiritual Advisor to college students. He believes that mentoring people at a young age to discover the love of God makes them torch-bearers of this love to reach out to a broken world. Reading, talking and learning about everything under the sun, singing, traveling and meeting new people and cultures are his interests. Hailing from the southern Indian state of Kerala, he grew up in Mumbai. After his degree in Biotechnology, he committed his life to full-time ministry to serve God through the Mar Thoma Church, an ancient church which has its roots in the church established by St. Thomas in Kerala. He did his degree in Divinity at the Mar Thoma Theological Seminary under the University of Serampore. Over the last decade, he has served as Vicar in various parishes and educational institutions in Bangalore, Chennai, and Jabalpur. Connecting with people in their places of interest, counseling and personal pastoral ministry, leading camps and conferences for children, youth and parishes are experiences that he likes to involve in. Kyle Kaplan, a second year Master of Divinity candidate at Harvard Divinity School, has spent the last 8 years deepening his Buddhist practice, along with his theoretical knowledge of Buddhist teachings. Kyle has been active in several sanghas, including S.N. Goenka retreats, the Ch’an monasteries of Dharma Drum Mountain and Fo Guang Shan in Taiwan, the Dartmouth Student Mindfulness Group, and the Dartmouth Zen Practice Group, where he studied with Gendo Allyn Field of the Upper Valley Zen Center. Recently, Kyle spent the summer applying his spiritual practice as an interfaith chaplain at Dartmouth-Hitchcock Medical Center. 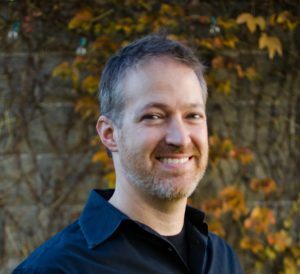 In addition to his Buddhist practice, Kyle has been exploring yoga since 2006, and enjoys channeling his spiritual and creative energies into sound compositions, computer programming, along with poetic and analytical writing. Kyle Kaplan has been a practicing yogi since 2006, and a yoga teacher since 2013. He earned his 200 hour teaching certificate in vinyasa-based hatha yoga in 2016 from Liz Heffernan’s Soma Yoga Institute. Along with having practiced a diversity of yoga styles, Kyle is a dedicated meditator with a deep scholarly interest in both Eastern and Western philosophy. His class merges his extensive yoga experience with his meditative and philosophical understanding, resulting in a flow that is both vigorous and contemplative. 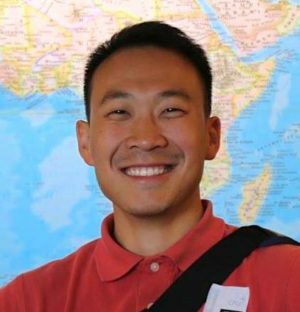 Kyle has led yoga classes in Taiwan, where he lived for 4 years, at Peace Street Community Center, United Yoga Taipei, Dharma Drum Mountain, as well as in the U.S. for Dartmouth College’s Mindfulness Student Group. Kyle Kaplan was born and raised in Los Angeles and moved to Montreal in 2006 to study music technology at McGill University. Upon graduating in 2010, Kyle spent a brief period in New York City before moving to Taipei, Taiwan to teach English, study Mandarin, explore distant lands and contribute to East Asia’s intimate, compelling experimental music and media art scene. Kyle returned to the U.S. to complete a Master of Arts at Dartmouth College in Digital Musics in 2014, his studies culminating in a praxis-based thesis which focused on intersections between Buddhist thought and interactive, generative sound art. Concurrent to his studies and art, Kyle has participated in numerous and varied Buddhist retreats in both Theravadan and Zen lineages. 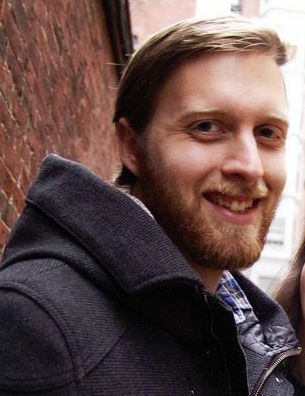 Recently, Kyle spent the summer applying his spiritual practice as an interfaith chaplain at Dartmouth-Hitchcock Medical Center. 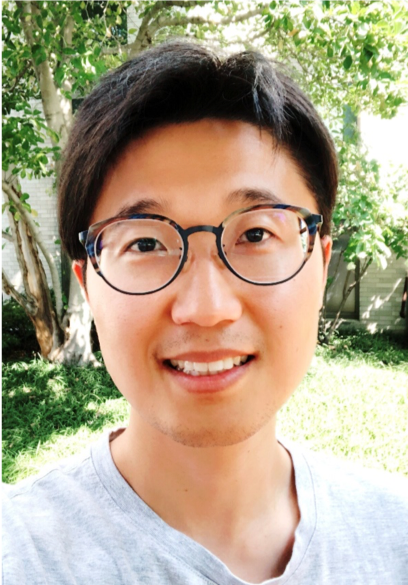 He enrolled as a Master of Divinity candidate at Harvard Divinity School in 2017, and is extraordinarily excited to contribute to Northeastern University’s Center for Spirituality, Dialogue and Service this upcoming academic year. Harim Lee has a unique background where she was born in South Korea but then moved to Indonesia, where she grew up until finishing high school. 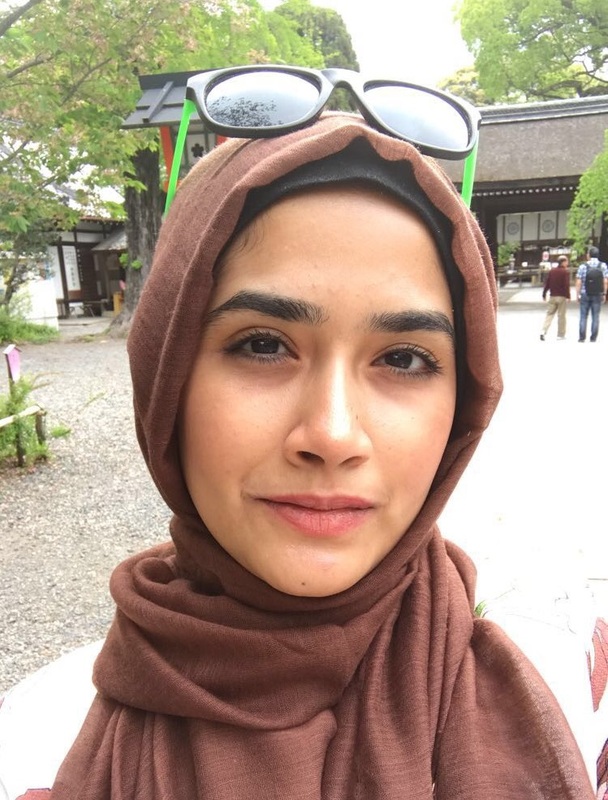 She has double majored for a degree in English literature and Malaysian-Indonesian language. She first came to Boston in 2015 as a volunteer staff at YWAM Boston and ever since then, she has been serving as staff. She has a heart for college students – to deliver what God’s love is like and to give students hope that they are not alone. She loves to listen and socialize with new people. Because of her unique background, she tends to make friends quickly and is able to relate to many things; starting from a cultural difference to telling which restaurants have great foods. She enjoys going out and looking at nature, trying out new foods, movies and taking photos. Christine, originally from Maryland, has lived in Boston since 2010 and absolutely loves it. After working at a local church for several years, Christine made the shift to college-ministry with InterVarsity in 2016. She is passionate about college students learning the good news of Jesus and how it can transform all of life. Christine earned a bachelor’s degree in Youth Ministry from the University of Valley Forge and a master’s degree in Theology from Gordon-Conwell Theological Seminary. Along with Boston, Christine loves practical theology, winter, reading, and tea. Caleb Muhn received his degrees in Communication and African American Studies at Rutgers University. He was born in South Korea, raised in New Jersey, and currently works in Boston for KCCC, also known as SOON Movement. He first encountered God, through Jesus, while volunteering to help clean debris during the aftermath of Hurricane Katrina in July 2006. Then after several transformative years, he received a calling from God during college to share the story of Jesus Christ and God’s redemptive love to university students. He loves helping students find a safe place to belong, grow in their faith, and serve others on their spiritual journey. 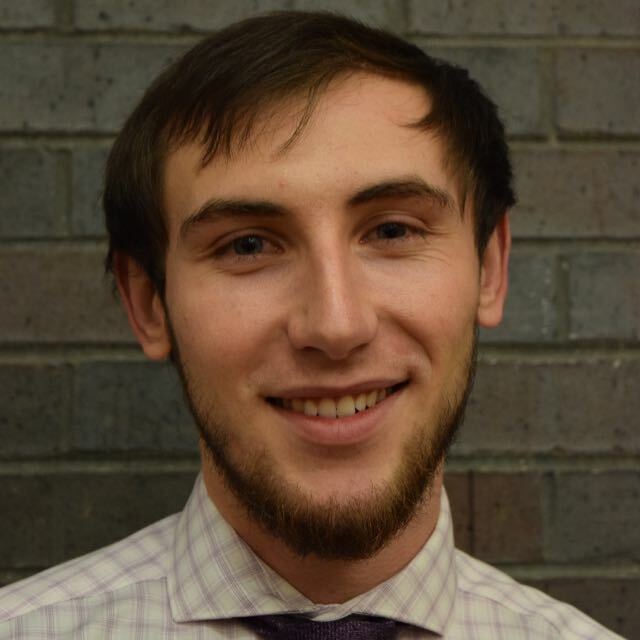 Samer Naseredden is a community servant who recently moved to Boston from Arizona to become the MAS Youth Programs Director at the Islamic Society of Boston Cultural Center (ISBCC). Samer studied both psychology and family and human development at Arizona State University and is an aspiring counseling psychologist. Upon graduating, he proceeded to work as a youth minister and interfaith coordinator at a local mosque in Arizona. Samer sees a future for himself working in the field of social services and community development. Samer is a proud community organizer with the Muslim American Society (MAS) working to develop thought leaders and dynamic activists. Samer’s passion is in helping others finding theirs, and assisting in people’s journey to God through that passion, thoughtful reflection, comprehensive self-development, and meaningful activism. Samer enjoys working with ambitious young people and seasoning their unbridled passion with unparalleled commitment, consistency, and discipline. Samer was a regular Friday khateeb and had many enriching experiences serving local organizations in Arizona; in recent months he has enjoyed doing similar work in Boston. Samer feels most himself hanging out with small groups of friends and wearing his signature Nike polo shirts. He is an avid sports fan, outdoor enthusiast, movie buff, cologne aficionado, fantasy football savant, snack junkie, and lover of idioms. Samer invites you to connect with him and share in genuine, authentic relationship building. Jeremiah received his degree in Aerospace Engineering from MIT. His passion for space led him to the NASA Goddard Space Flight Center, working to detect gravitational waves from black holes and merging neutron stars. 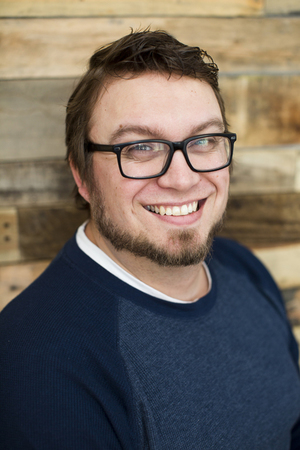 Jeremiah, along with his wife, Tori, have now worked for Cru in Boston for 5 years. He serves the diverse Cru Agape ministry at Northeastern University – a caring community that welcomes everyone to learn more about Jesus, His love, and His power to restore and make all things new. Jeremiah has a passion for both understanding the universe and digging into the difficult questions of life. As a result, he enjoys creating safe spaces for students to question and dialogue about the purpose of life, and the intersection of science, spirituality, culture, and systemic injustice. In his spare time he enjoys kayaking, hiking, bouldering, and playing guitar. Micah is a humanist who is interested in building communities that are pursuing goodness in a secular way. 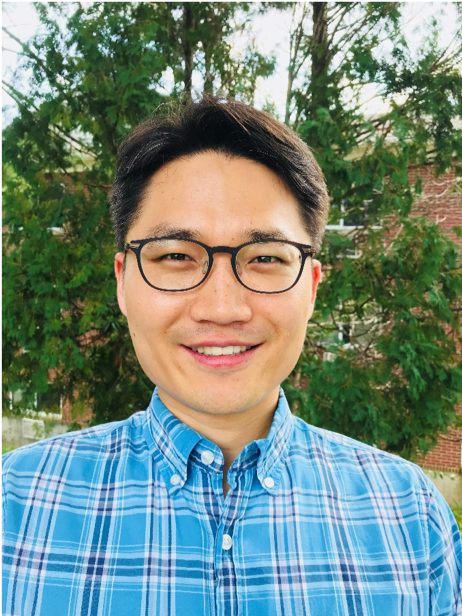 A graduate of Boston University School of Theology with a Master of Divinity, Micah’s work focuses on how religious, secular, and spiritual spaces include or exclude those who are truly other. He also has interests in developing post-Evangelical Christian resources that seek to change patterns or postures of belief rather than only content and theology. 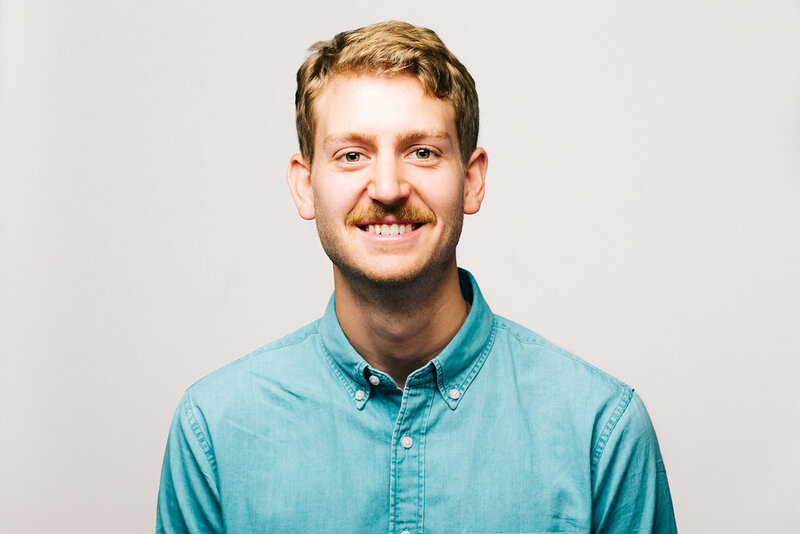 Micah is an organizer for CEDAR (Communities Engaging with Difference and Religion) and has organized conferences that explore ways of living with difference that place disagreement at the center rather than at the margins. Micah also works for Convergence on Campus, where he works to increase support and awareness for religious, secular, and spiritual identities on college campuses. Micah is passionate about conflict and dialogue, holding a certificate from the BTI in Religion and Conflict Transformation, and is a certified mediator for courts in the state of Massachusetts. Mendy moved back to his hometown of Boston in 2014 to start a branch of Chabad near Northeastern. He received Rabbinical ordination in 2011 at the Rabbinical Institute of New England, where he also served as a spiritual mentor for students for three years. He previously served as the director of a summer educational program in Mequon, Wisconsin, and has worked at other youth programs in Montreal and Toronto. Mendy taught at Released Time, a Jewish educational program for public school children in the New York area, and has coordinated and led Jewish Holiday services in correctional facilities in Tampa, Florida and Morgantown, West Virginia. Mendy married his wife Mussy in 2013 and they now have a baby daughter. Mussy grew up in Brooklyn, New York, and recently moved with her family to Boston to start a branch of Chabad near Northeastern. Mussy studied at Excelsior College, receiving a BS in Special Education. She has taught at Hebrew schools in Commack and Westchester, New York and Roslyn, New Jersey, and has directed others in Westchester, New York and Bayside, Queens. Mussy managed an all-girls orphanage in Ukraine, where her responsibilities included mentoring and tutoring the girls, seeing to their basic living needs, and directing their social programs and outings. Sarbpreet Singh is a playwright, commentator and poet, who has been writing while pursuing a career in technology for several years. His commentary has appeared on NPR’s Morning Edition, The Boston Herald, The Providence Journal, The Milwaukee Journal and several other newspapers and magazines. He writes a weekly column for the popular culture magazine, Sikhchic.com. 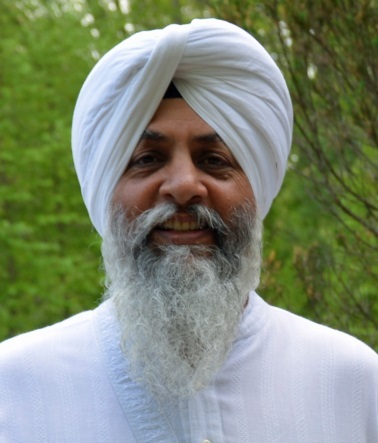 He is the founder and director of the Gurmat Sangeet Project, a non-profit dedicated to the preservation of traditional Sikh music and serves on the boards of various non-profits focused on service and social justice. He is very active in Boston Interfaith circles and was recognized for his interfaith work by the Boston Globe. Fr. Demetri is Dean of the Annunciation Greek Orthodox Cathedral of New England. 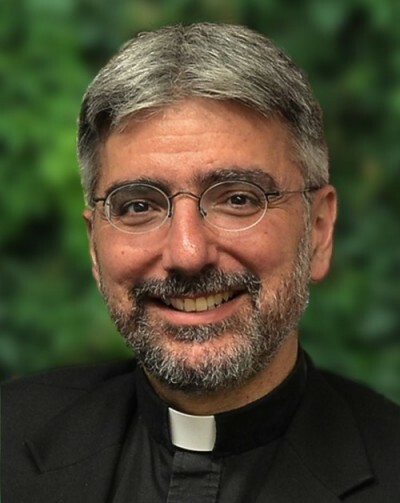 He holds an MDiv and ThM from Holy Cross Greek Orthodox School of Theology and a Ph.D. from Boston College. Prior to entering seminary, Fr. Tonias was a professional engineer and is the author of several works on civil engineering, including an award-winning textbook on bridge engineering. In 1996, Fr. Tonias left his career as a professional engineer to pursue ordination in the Greek Orthodox Church. His doctoral research at Boston College focused on the Christian and Jewish relationship in the Greek speaking East from the first century to the present. Fr. Tonias’ most recent publication is Abraham in the Works of John Chrysostom (Fortress Press, 2014). As Ecumenical Officer for the Greek Orthodox Metropolis of Boston, Fr. Tonias has helped organize a series of events in which the Greek Orthodox and Jewish communities have met to explore a variety of theological and pastoral issues. He also serves on the Board of the Massachusetts Council of Churches and is president of the Boston Ministers’ Club, the oldest clergy association in the United States. I studied Commercial Art at a small state school in Missouri and moved to Boston after graduating to work with Sojourn Collegiate Ministry. I went through some of the hardest times of my life in college and learned pretty quickly that the education university offers is much more than what happens in the classroom, and much bigger than just learning to become proficient at a particular vocation. It’s in college that we begin to piece together who we will become. Too often we set down that road without taking the time or space to think through where it actually leads. This is why I work in Spiritual Life, because it’s in the pursuit of something beyond ourselves that we gain the perspective to discover who we are. It’s in our pursuit of God that we are invited to change the way we see ourselves, each other and the world around us. Sojourn’s hope is to give space for students to discover God’s dream for themselves and the world around them. Todd Williams studied Communication, Religious Studies, and Physics at Western Kentucky University. He earned his Master of Divinity in Urban Ministry at Gordon-Conwell Theological Seminary and has served with CRU/Agape in Boston’s Fenway neighborhood since 1999. His college experience provided a transformative encounter with God, through Jesus, in the context of community. He loves helping students, from every background, finds a safe place to belong, dialogue, serves, and engage others on their spiritual journey. Br. Jason is the Director of Northeastern’s Catholic Center, which he joined in the Spring of 2016. During his tenure, he has worked to include students from other area campuses in the programs of the Catholic Center through an initiative of the Archdiocese of Boston called Hope for Undergraduates in Boston (HUB). 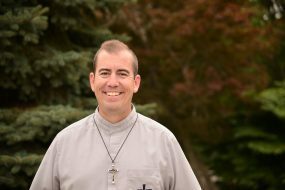 He joined the Brotherhood of Hope in 1997 and, upon completion of his training, served in various campus ministry positions at the likes of Boston University and Florida State University. In 2003, Br. Jason received his MA in Ministry from St. John’s Seminary in Brighton, Massachusetts, and then joined the pastoral staff of Boston University’s Catholic Center. After 3 years at Boston University, he served for 10 years at his alma mater, Florida State and is now very happy to be serving at Northeastern University. Go Huskies!